Casilando is the destination for all casino fans to enjoy games from no less than 18 different providers in a fun and relaxed gaming environment. The casino landed in the first half of 2018 and opened its virtual doors far and wide from the whole world to enjoy. The high-quality graphics and straightforward navigation make it a treat to play at. Right from the minute you enter the site be it on your mobile or PC, you are met with some eye poppingly bright colours, engaging graphics and enticing promotions. They pay close attention to their new player offers so you can usually snag a great deal! 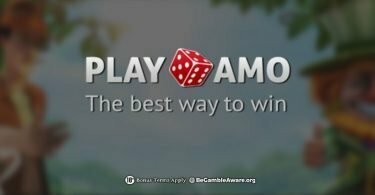 Regular players will also be taken care of with frequent offers and promotions with cash bonuses, free spins and loyalty rewards. The casino is home to a plethora of games covering all tastes, budgets and skills. This is largely thanks to a list of nearly twenty contributing software developers. Players can dip in and out when they like with no requirements to download any software. Just open up the website and start playing. Deposits are quick, and withdrawals hassle free. Many familiar payment options are offered including Visa, MasterCard, Paysafe Card, Neteller, Skrill, Sofort, Trustly, GiuroPay, DotPay, OchaPay and bank wire transfer. Hopefully, you won’t find any reason to, but should you require any assistance, it is available 24/7 via live chat and email. Casilando Casino is licensed by the UK Gambling Commission and Malta Gaming Authority and is managed by White Hat Gaming. 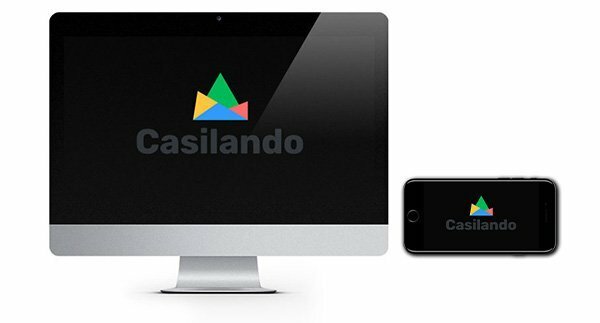 The Casilando designers have done a great job of creating excitement right from the off. The casino lobby is full to the brim of fantastic casino entertainment with every player catered for in great detail. The games have been helpfully organised into their corresponding categories. These include Top Games, New Games, Slots, Jackpots, Live, Blackjack, Roulette, Table and Poker…phew! 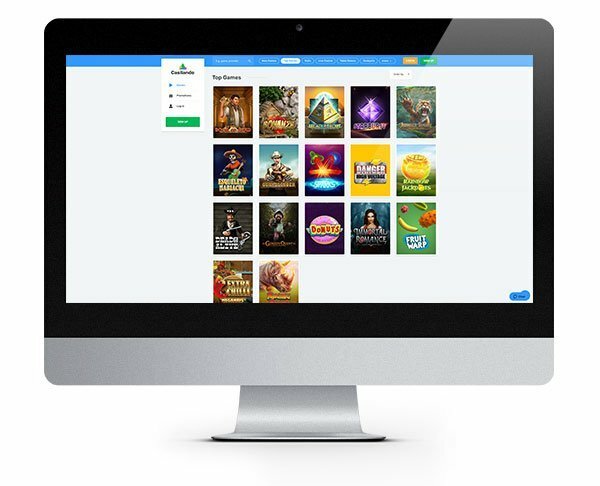 This allows you to quickly get to the games you want to play. We’ve spent a fair bit of time exploring their slots collection and have uncovered a seemingly endless supply of games. Here are just a few of our favourites: Guns ‘N Roses, Hong Kong Tower, Raging Rhino, Foxin’ Wins, Bonanza, Electric Sam and Break da Bank Again. The keen-eyed amongst you will spot there’s a brilliant list of developers here including Microgaming, NetEnt and Thunderkick! Table and card games haven’t been left out either as Casilando has ensured every staple casino game is there in multiple varieties. If you can find it on a casino floor, then you’ll certainly find it here, and a whole lot more besides! 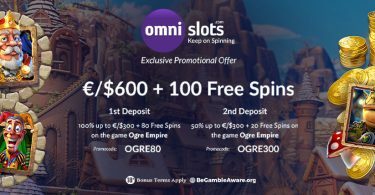 This casino has already got our attention thanks to their solid choice of games but now this no deposit bonus is just the excuse to jump right in and give them a spin! Claim 10 NO DEPOSIT SPINS, on Book of Dead, just for registering your casino account! When you make your first deposit, there is also a further 90 Bonus Spins to enjoy along with a 100% cash match bonus worth up to €300. Not available to UK or Swedish players. New players only. Bonus funds are 100% up to €300. Bonus Spins are valid on Book of Dead only. Minimum deposit of €20 or more. Maximum bet size €5. 35x bonus + deposit wagering requirements apply. You just need to follow the same steps as above but you’ll get a slightly different bonus if you are clicking through from the UK! Collect a 100% Match Bonus up £300 + 90 Bonus spins on Book of Dead! On your first deposit of £20 or more, you’ll get a Match Bonus of 100% up to £300! You’ll also be given 90 Bonus Spins on top slot BOOK OF DEAD!! Get your UK Player Welcome Bonus! Available to NEW UK players only. Min deposit £20. Bonus spins are valid on Book of Dead only. Bonus funds are 100% up to £300 and separate to Cash funds. 35x bonus + deposit wagering requirements apply. £5 max bet with bonus. Bonus must be used within 30 days, spins within 10 days, otherwise any unused shall be removed. The same applies here to the the offer above but you’ll get a slightly different bonus if you are clicking through from Sweden! Collect a 100% Match Bonus up 3000Kr + 90 Free Spins on Book of Dead! 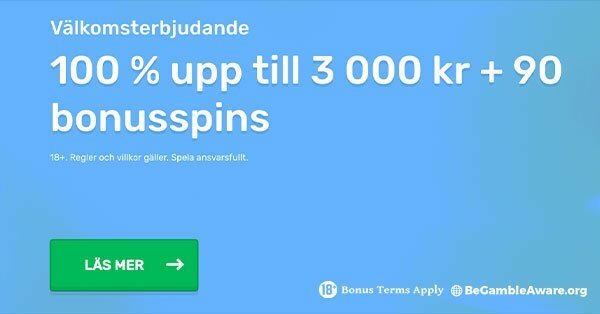 On your first deposit get a Match Bonus of 100% up to 3000Kr + 90 Free Spins! Get your Swedish Player Welcome Bonus! Available to NEW SWEDISH players only. Bonus funds are 100% up to 3000Kr and separate to Cash funds. Bonus Spins are valid on Book of Dead only. Bonus + deposit wagering requirements apply. IMPORTANT NOTICE – Make sure you are aware of gambling regulations in your country of residence before you register at Casilando Casino. 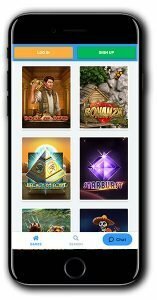 Casilando is a cool and modern looking casino featuring games from nearly twenty leading developers. Try them for free with this selection of bonuses!